My aim is to convey a sense of direction in music, which is guided by an evolving logic, such that one cannot foresee the next step, but which will have a sound of inevitability when it arrives. Jennifer Fowler was born in Bunbury, Western Australia, in 1939. During her student years at the University of Western Australia, she won several composition prizes and received the University's Convocation Award for outstanding results. While still a student, her pieces were performed in the Festival of Perth and broadcast by the ABC. In 1968 Fowler spent a year working at the Electronic Music Studios of the University of Utrecht on a Dutch Government scholarship. Since 1969 she has been living in London where she works as a freelance composer. 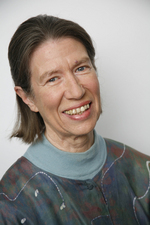 Fowler has won a number of international prizes including an award from the Academy of the Arts in Berlin (1970), joint winner of the Radcliffe Award of Great Britain; first prize in the GEDOK International Competition for Women Composers (1975) and the Miriam Gideon prize from the International Association of Women in Music (2003). In 2001 her 50-minute song cycle, Eat and Be Eaten, commissioned by The Song Company, received a High Commendation at the Paul Lowin Awards. Also: prizes in Christopher Bodman Memorial Competition, UK (2006); The International Sylvia Glickman Memorial Prize (2009); and the Marin Goleminov International Composition Contest, Bulgaria (2009). Fowler's output includes orchestral works, chamber pieces, works for voice and instrumental ensemble, solo music and vocal ensembles. She has written for top professional players and also for amateurs and children. She is particularly interested in writing for particular performers or in using old or unusual instruments in a new way. Fowler's music has been performed at international festivals such as the ISCM World Music Days, the Gaudeamus Music Week (Holland), the Huddersfield Festival of Contemporary Music (UK), the International Sydney Spring Festival, the Festival of Perth, City of London Festival (UK), and Women in Music festivals in London, Atlanta, Alaska, Melbourne, Sydney, Canberra, Rome and Beijing, and the Australian Festival of Cnamber Music. She has received commissions from organisations such as the BBC, the ABC, the Festival of Perth, the Music Board of the Australia Council, the Radcliffe Award of Great Britain, The Song Company (Sydney), Donne in Musica (Italy), Women in Music (UK) and the University of Western Australia, as well as ensembles and individuals. Articles about Fowler can be found in the New Grove Dictionary of Music and Musicians (Macmillan, 1980), and also in the latest edition of 2001; in the Pandora Guide to Women Composers (Pandora, 1994, 2001) and in The New Grove Dictionary of Women Composers (Macmillan, 1994). Fowler has written about her music in The Contemporary Music Review, Vol 11 (Harwood Academic Publishers, 1995) and the Journal of the International Alliance of Women in Music, Vol 12, No 1 (Oceanna Music Publications, 2006). Late in 2018, Jennifer Fowler was involved in the recording of her chamber music by Lontano, with director, Odaline de la Martinez joined by two singers: Raphaela Papadakis (soprano) and Lauren Easton (mezzo-soprano). The recordings will be made available in 2019 on the Metier label. A new work, Bassoon Solo, was premiered in London at the London Festival of New Wind Music in October 2018. Viola Solo was premiered in London in September 2018. Fowler's piece for solo harp, Threaded Stars 2 was performed in Melbourne, WA and Hong Kong by the harpist, Jacinta Dennett. Plainsong for Strings was chosen by the European jury to be perfomed at a meeting of the European Composer and Songwriter Alliance in Vienna in October 2017. Letter from Haworth (soprano and ensemble) was featured in the Australian Festival of Chamber Music, Queensland in 2016. A commission from the University of Western Australia for a piece for 3 cellos was released on CD in 2013. In October of the same year, Magnificat 3 was premiered by the Kaleidoscope Ensemble with Corinna Dolso (soprano) in Ipswich, UK. A commission from 'Music in the Village' in Walthamstow, London, Uncoiling for oboe and piano, was performed in London 2012 by two different duos. In 2011, a commission from the Whitehall Orchestra of London for a Concerto for alto saxophone and orchestra was premiered in London with Amy Dickson as soloist, with a repeat performance in NSW with the Ku-ring-gai Orchestra. Also in 2011, a piece for SSATB Lament for Dunblane was featured in the City of London Festival, and broadcast by BBC Radio 3. Saxophone concerto : for alto saxophone and orchestra (2010) Commissioned by Whitehall Orchestra. Lament : for 3 viols (2007) Commissioned by Backgammon Ensemble. When David heard : for chamber choir and piano (2007) Commissioned for the Collegium Musicum of the University of Western Australia.